Produced by Terry "Sho" Murray (CITY OF FIRE, EXHIBITIONISTS), the twelve-track achievement offers an explosion of sound, setting new standards for classic heavy metal. 3 Inches Of Blood teamed up with Kim Thiessen for the artwork to perfect their artistic vision for the album, the different formats will be announced shortly. 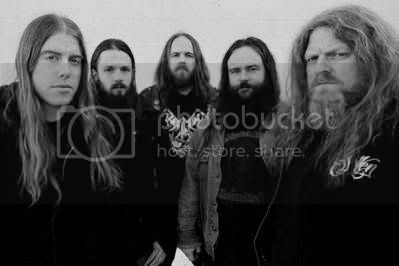 After touring North America around the release date with DEVILDRIVER, THE FACELESS, DYING FETUS, JOB FOR A COWBOY, IMPENDING DOOM and WRETCHED, they will head to Europe for a tour in May that is yet to be announced. 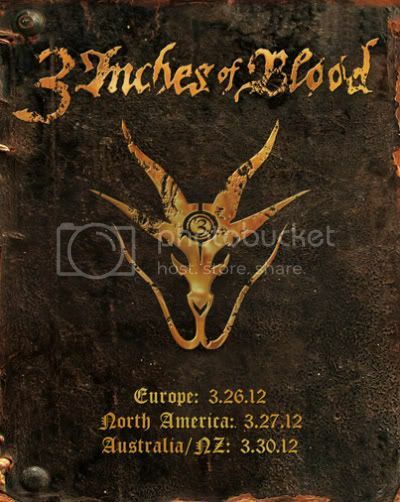 3 Inches Of Blood recently announced that Bryon Stroud, former STRAPPING YOUNG LAD and FEAR FACTORY member, has officially joined the group, taking over bass duties. Stroud and 3 Inches Of Blood have been working together on a variety of things, and Stroud is beyond pleased to shift his involvement to a creative level. 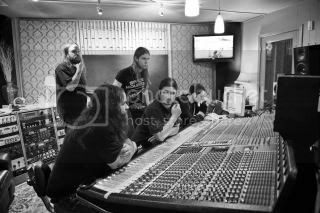 A photo gallery documenting the recording sessions for the new album, courtesy of photographer Aaron Aubrey, is available at this location. 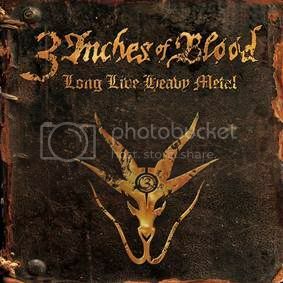 "Long Live Heavy Metal is the fifth chapter in the book of 3 Inches Of Blood, and we couldn't be more pleased and proud of our new onslaught of honest heavy metal," says guitarist Justin Hagberg. 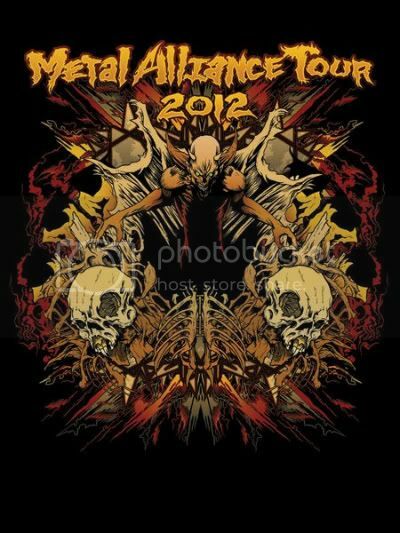 Metal Alliance Tour 2012 will run from March 15th - April 21st.